A former Minister of Aviation, Femi Fani-Kayode, has slammed Governor Babatunde Fashola of Lagos State for apologising to Ndigbo following the deportation of beggars and destitute people to Anambra State. The former minister said that it was wrong for the governor to apologise over a legitimate action taken by government. The former minister has championed an anti-Igbo crusade since the deportation saga broke out in July. Some political pundits see his bile-filled crusade as a way of re-asserting his relevance in the Yoruba scheme of things by portraying himself as a champion and defender of their cause. 'There can be little doubt that the relocation of the 19 Igbo destitutes from Lagos state a few months ago was a lawful exercise and that it was done in the interest of Lagos State,' Mr. Fani-Kayode said. 'Consequently I do not believe that Governor Babatunde Raji Fashola ought to have tendered any form of apology whatsoever to the Igbo for what he did,' he added. Speaking at an event to mark the Silver Jubilee of Aka Ikenga, an Igbo socio-cultural body, on Thursday, Mr. Fashola had tendered an 'unreserved apology' to the Igbos for the row generated by the deportation. 'I came here to say thank you for the honour done to my family and the memory of my late father,' Mr. Fashola told the gathering of Igbo statesmen. 'People who clearly do not understand the actions taken and words spoken are those I owe an explanation. I cannot take the Igbos for granted because we have built a relationship based on tolerance, mutual respect, love and trust. 'That relationship was built by our ancestors and I put a lot of value in that relationship. 'I offer an unreserved apology if the actions taken had been misunderstood,' Mr. Fashola had added. 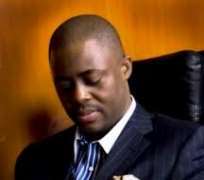 Mr. Fani-Kayode insisted that the Lagos State governor did not apologize for the deportation. 'The only redeeming factor is the fact that the apology was obviously designed simply to calm frayed nerves and I commend Fashola for that gesture if nothing else,' the former minister said. 'I say this because my understanding is that he apologised NOT for the deportation itself but for 'the misunderstanding that arose from it'. There is a world of difference between the two,' he added. On July 24, the Lagos State government had deported about 70 destitute people to Onitsha, Anambra State; a move that sparked a heated row between the two states as well as scathing criticisms on both state governors. Another dimension was added to the debate after Orji Kalu, a former Abia State governor, termed Lagos a 'no man's land,' an appellation that added fresh fury to the conversation. Mr. Fani-Kayode accused Mr. Fashola of betraying the Yorubas who stood by him doing the row generated by the deportation. 'If I were Governor of Lagos state I would never have apologised for the execution of a legitimate and lawful exercise which was absolutely necessary and which was done in the interests of my state and my people, no matter how many cows I had been offered or given by the kinsmen of those affected,' said Mr. Fani-Kayode. 'What Fashola has done, albeit inadvertently, is to betray those amongst his Yoruba kith and kin that stood by him and defended him when he took that historic and controversial decision to deport the Igbo destitutes. Mr. Fani-Kayode further said that it is important for the Lagos State governor to consider the long term implications of his purported apology to the Igbos. 'The truth is that in life perception counts for everything. And rightly or wrongly the perception that most people have, particularly amongst the Igbo, is that Fashola has indeed apologised for the deportations. 'In any case now that dishing out apologies is the order of the day and he has set the precedent, the question has to be asked - will Peter Obi take a cue from that, be a gentleman and apologize for deporting the people of Akwa Ibom from his Anambra state as well? 'Is Obi that reasonable or charitable? Do those that think like him believe that what is good for the goose is good for the gander? I doubt it very much. The ex-minister further accused Mr. Fashola of double standards, capitulation of values, and a revocation of principle. 'You don't apologise for government policy just to appease a certain group of people no matter how bellicose, violent, loud and aggressive they may be,' Mr. Fani-Kayode said.